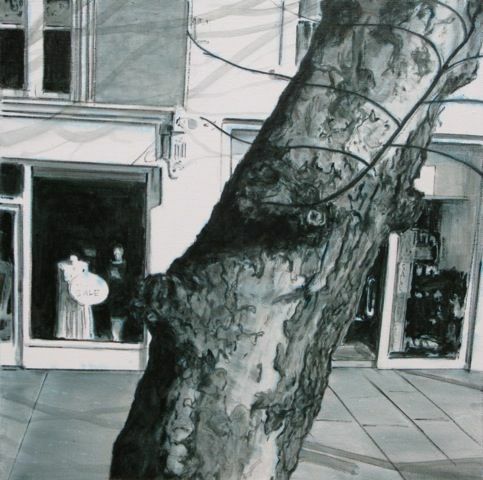 Fast gaining a reputation for her pensive, yet understated paintings, Horner's critically-acclaimed works depict ordinary scenes, appearing as elusive snapshots which have captured lost moments in time. This effect is heightened by her use of a square canvas format, and a minimal, often muted colour palette combined with a manipulation of focus. Through this framework she is able to explore a variety of emotions, often inducing feelings of transience or intimacy, loss or hope. Many of her works are reminiscent of film stills, or suggest a photo-realism. High House Gallery Founded in 2011 and situated within a grade II listed Victorian mansion and recently-restored formal gardens located in the Oxfordshire village of Clanfield, the gallery promotes only the best in critically-engaged contemporary art. The innovative exhibition programme features both solo shows and curated group exhibitions from an international roster of gallery and invited artists.